Control a Veritech™ fighter, switching from ground to hover to flight mode instantly, as you battle in the ultimate combat experience! It's a desperate struggle to save the earth in over 40+ missions with 40 Veritech fighters on land, air and outer space. Take the role of intrepid fighter pilot Jack Archer, who must put his skills to the test in the ultimate battle against the forces of the alien Zentraedi™. 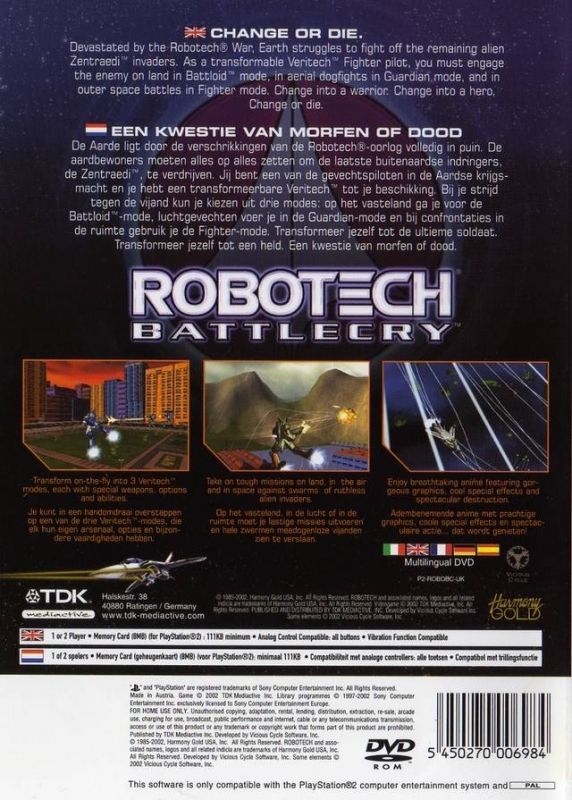 Sit at the controls of a Veritech fighter, a unique mecha capable of ground-based fighting in robot form. Or have the option to instantaneously change into a fast attack fighter for aerial dog fighting plus the hybrid Guardian mode that blends some of the strengths and weaknesses of the other two modes. 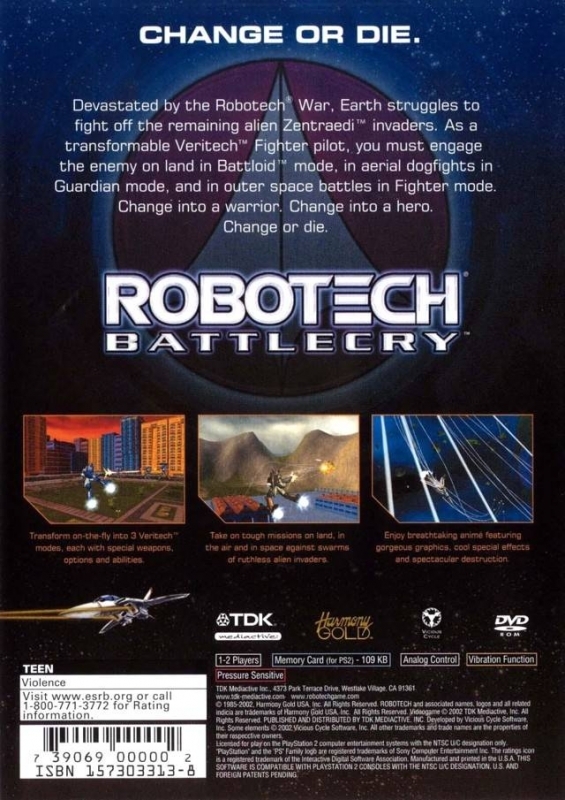 The fast-paced gameplay and freedom of movement, combined with the well known space opera, makes Robotech: BattleCry impossible to put down! 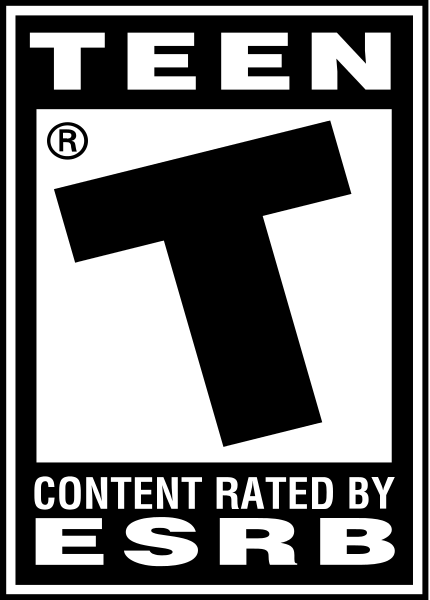 • Fast-paced action that pits the player against groups of enemies simultaneously. • Introduces changeable vehicles that can switch from a ground based, 40-foot tall humanoid robot into a high-flying jet fighter craft. • Three transformation modes that offer different movement options, special abilities and weapons. • A variety of environments including rolling hills, an urban setting, the sky and outer space. • A death match mode where players can battle each other.